A Detroit-area man in a long-distance relationship with a bank teller in Illinois drove to her place of employment on Valentine's Day, robbed it — unkbeknonwst to her — and planned to use the cash for an engagement ring. Instead, he's headed to prison. 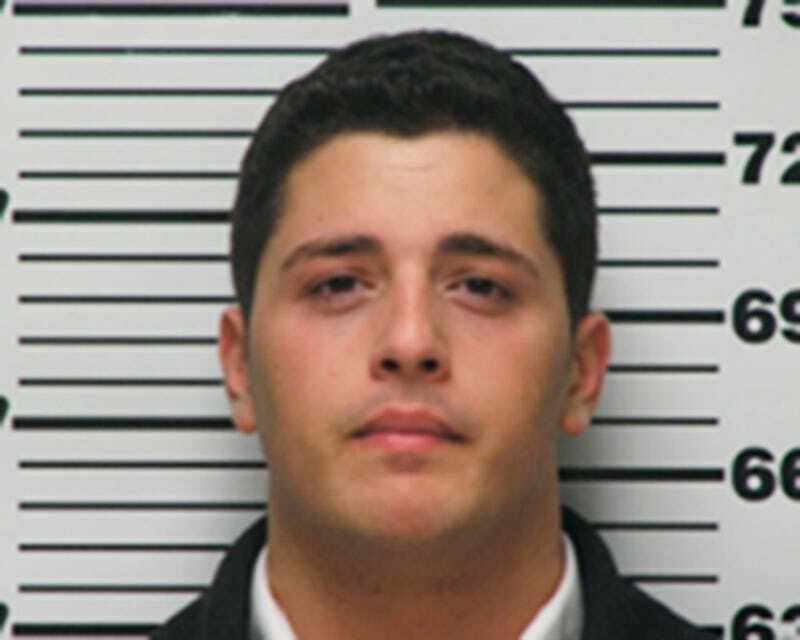 Troy resident Ramsey Fakhouri met his girlfriend in Bible college, according to the AP. He wanted to marry her, but couldn't afford a ring. Realizing she worked at a bank, he let a friend listen in on a conversation on how the ATM machines at her branch are stocked. Fakhouri and his accomplice then put their plan in motion on February 14. Equipped with pellet guns resembling real semi-automatic pistols, authorities say, the Michigan friends drove Fakhouri's 2008 Ford Mustang through the night to southern Illinois — getting a $120 speeding ticket along the way — and waited outside the bank for it to open, at one point watching the girlfriend pull onto the bank's lot to start her shift. She called to wish Fakhouri a good morning, unaware he was there. About 8:30 a.m. that day, prosecutors say that Alexander Gerth — masked and wielding the pellet gun — robbed the branch manager after she came out to refill the drive-up ATM. With Fakhouri driving the getaway car, the two suspects fled and were returning to Michigan when Fakhouri's girlfriend texted him, voicing fears about the robbery she'd just seen. Fakhouri later told investigators Gerth dropped him off in Indianapolis, and he took a Greyhound bus back to comfort his girlfriend. Fakhouri and Gerth were spotted at a nearby Walmart; surveillance photos in the discount chain's parking lot were sent to the media. Fakhouri's girlfriend recognized him immediately and turned him in. A certain Chris Brown song suddenly comes to mind. Fakhouri will be sentenced next month. Remember, guys: Three month's salary.